GPSF can provide funding for your conference or research travel through Individual and Group Travel Awards. This is a very competitive award, receiving many applications each cycle. All GPSF funds, including the Travel Awards, come from student fees. All Travel Awards are processed as reimbursements; we cannot disburse funds until after your travel has been completed. Before applying, you must review the Travel Awards Process. Please also also read the FAQs and review the grading rubric. The application can be found below. If any other questions remain, please contact the Travel Awards Chair. The applicant must certify that they will not use GPSF Travel Award in conjunction with another funding source for the same trip, unless they apply for and are granted a Top-up Differential*. To learn more about the eligibility and grading criteria, please review the Travel Awards Law. * If an applicant is receiving an award from a source outside The GPSF and that award is less than 50% of the maximum amount permitted by The GPSF code (less than $200 for domestic, $300 for international travel), the Committee may elect to award a Top-up Differential to meet the maximum award amount . You must apply for a GPSF Travel Award based on your travel dates. See the chart below for more information. After the application deadline, the Travel Awards Committee will review the applications and make recommendations for funding. These recommendations will be presented to the GPSF Senate and voted upon; pending Senate approval, applicants will be notified of their award. After ensuring all eligibility criteria are met and the Treasurer has received your reimbursement documents, a check will be written and mailed to you. Students who have been awarded a GPSF Travel Award should follow the following process. This is NOT an application for a Travel Award. Once awarded a GPSF Travel Award via Senate approval, you will begin working with the GPSF Comptroller to provide supporting documentation for your travel to process your reimbursement. A direct deposit form (must include voided check), online here, can be submitted to the GPSF Comptroller or accounts payable (vendor_coordinator@unc.edu). If submitted to vendor coordinator, inform The GPSF Comptroller. All relevant receipts, up to the award amount. Transactions made in cash are not reimbursable. Directly contact the GPSF Comptroller via email to request a CUSO Travel and Training Form. At that time, the Comptroller will send you the form and instructions on correctly completing said form. Submit a completed CUSO transaction form to The GPSF Comptroller for review. CUSO transaction form and all reimbursable receipts must be submitted as one combined PDF file. Proof of Acceptance for conference travel, or a signed letter from your research adviser or supervisor confirming the details of your travel. A brief summary of your experiences; not to exceed one (1) page. Further details are provided below on each of the bullet points. Once you have satisfied all the conditions for reimbursement, your reimbursement will be deposited in the account specified on the direct deposit form within 5-7 weeks. Photocopied and digital receipts are required. 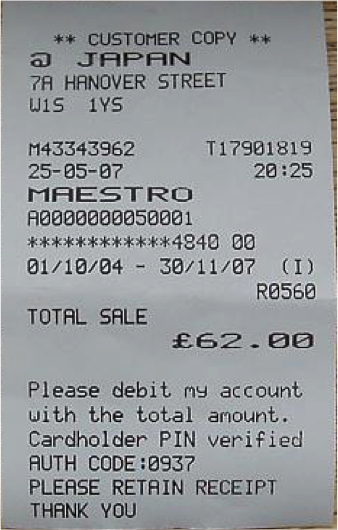 Itemized receipts explicate exactly what was purchased. Copies of bank/credit card statements will be requested in the event that receipts lack proof of purchase (i.e. last four credit card digits). No expenses will be reimbursed without an itemized receipt with proof of purchase. Corresponding proof of purchase in U.S. dollars must be provided for all purchases made in a foreign currency. *note the lack of itemized purchases. For conference travel, you may use the confirmation email that states your acceptance or you may use the page in the conference program which lists your presentation. If you are attending a conference and not presenting, you must submit your conference registration confirmation. For research travel, you must have an adviser or supervisor send a signed letter to the GPSF Comptroller confirming the details of your travel. This report should be less than one (1) page in length. Your summary should include the purpose of your travel and personal / professional benefits you received. Submit your summary to the GPSF Comptroller with your receipts.